The history of Vancouver is very diverse. It was originally inhabited by the Coastal Indians and began to be explored by Europeans in the 18th Century. Since then it has grown as a city and has recently undergone a building boom. The First Nations people inhabited the area that is now known as Vancouver before the Europeans settled and during this time there were a lot of dense forests in the area. The North Shore of the Burrard Inlet is very mountainous and this provides a temperate climate that is ideal for fishing and also provides other sources of food. Archeological evidence suggests that the Coastal Indians lived in the area of Vancouver since approximately 500BC. Artefacts from this time and exhibits with other important information can be found at the Royal BC Museum in Victoria and the Museum of Anthropology at the University of British Columbia. Arts and crafts that are native to the West Coast can be found throughout this region, including in Vancouver. They are on sale in souvenir shops, at market stalls and in specialty shops. The works of local artists can also be found displayed in art galleries and these may be available to purchase also. Captain James Cook from Britain arrived in Vancouver in 1778 and stayed briefly. Spanish explorers also arrived in the area shortly afterwards but they all stayed aboard their ships. It was not until another British explorer, Captain George Vancouver arrived in 1792 that changes really began to occur in the area. He began to chart the waters of the West Coast with the help of Spanish explorer Dionisio Alcala Galiano. People from abroad continued to settle in the area with fishing, fur, lumber and farming being the main industries. Gold was discovered in the area in 1858 and it is estimated that over 30000 Americans came to the area within weeks of this discovery being made. The mainland was declared a colony by the British in order to try and prevent the Americans having access to all the gold. New Westminster was incorporated as the capital of British Columbia in 1859 and there are still a number of attractions in the city today such as the quay and market that are worth a visit. New Westminster can be visited from Vancouver on the Sky Train. the postal service and a stage coachline were opened shortly afterwards. After extensive logging had taken place in the area a sawmill settlement was founded that was known as Granville. 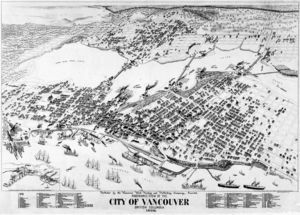 In 1886 it had a population of 1000 and was renamed after Captain Vancouver and incorporated as a city. In 1867 Canada became confederated and this event is celebrated every year on 1st July which is Canada Day. This bought huge changes to the whole of Canada including Vancouver. The Canadian Pacific Railway was extended in 1884 and this connected Vancouver to the rest of the country. People came to the city to settle and do business and as a result of this the population increased from 400 to 13000 in just four years. There did continue to be some degree of growth during the 1930s but the Great Depression affected Vancouver just as it did everywhere else. The Vancouver Art Gallery and City Hall were both built during the 1930s. 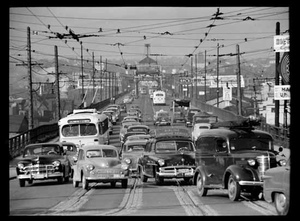 The suburbs in Vancouver really began to develop in the 1950s as the population continued to grow rapidly. By 1961 the total population was more than 800,000. The cultural life of the city also began to grow during this period and buildings that shape the skyline were also constructed. 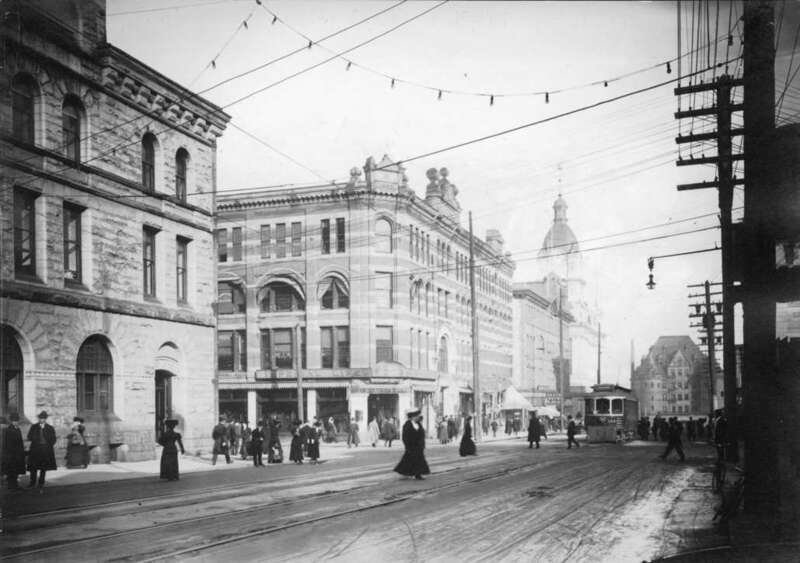 Vancouver is a young city but already has a varied and exciting history. It is Canada’s third largest city and has gained the reputation of being one of the most desirable cities in the world to live and visit and why our BC Playground Equipment company calls it home.